Costanza really loves Italian food. He cooks it at home, eats it at restaurants and I swear, fantasizes about it when he's sleeping. Yah, talk about #foodporn... 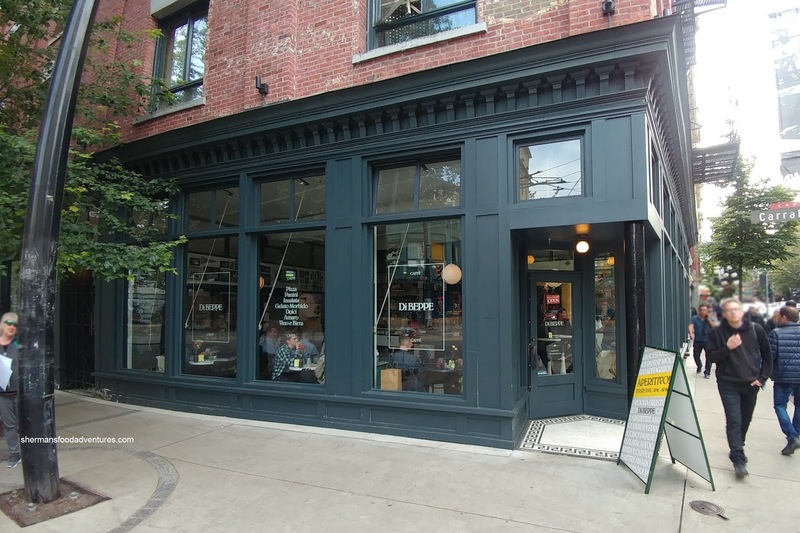 So when we needed a spot to grab a bite to eat before the Bryan Adams concert at Rogers Arena, I pointed to the relatively newly opened Di Beppe in nearby Gastown. 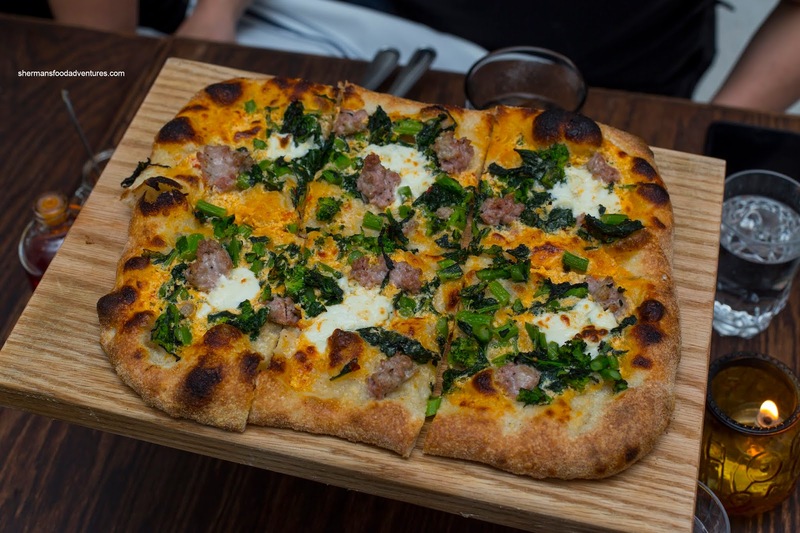 Located in the former location of Joe Pizza, the same ownership group decided to go in a different direction with a half-cafe and half-restaurant concept. Featuring a simple menu of pizza and pastas, this was perfect of our purposes,. 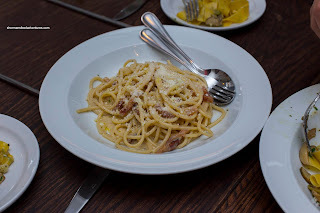 We went for 2 pastas including the Spaghetti Carbonara. Portion size was modest, but the execution was on point. Firm with a slight rebound, the pasta was exactly to our liking. Coated evenly, there was the saltiness of the guanciale and pecorino. There wasn't any excess moisture, but the sauce was neither clumpy nor dried out. It was accented nicely with just the right amount of black pepper. Our second dish was the featured pasta being the Pappardelle with fava bean ragu, mushrooms and Parmesan. For a vegetarian offering, this was equally tasty and impactful. I found the freshly-made pappardelle to be perfectly al dente. The fava bean ragu was hearty and properly seasoned. Ample porcini mushrooms ensured that there was even more body and umaminess. 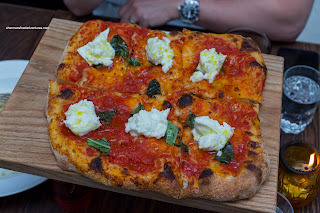 For our pizzas, we decided to go for the standard with the Margherita. 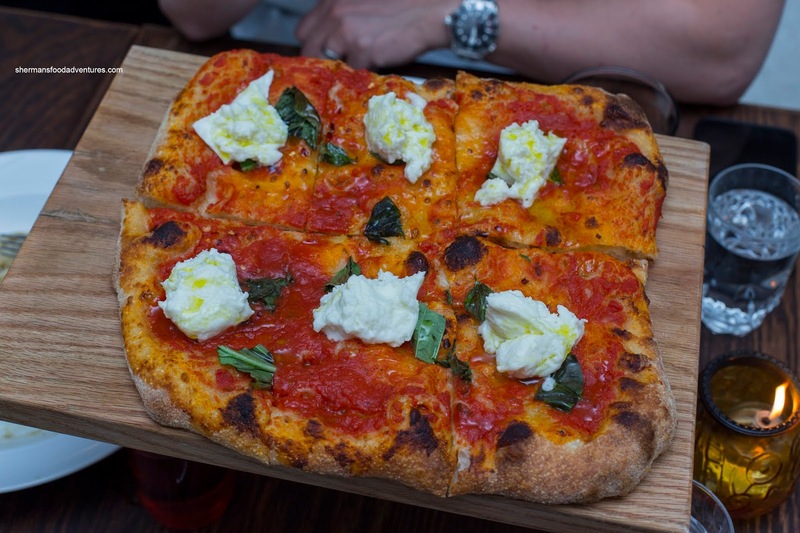 However, it was not the typical Neapolitan-style pizza found at most places in Vancouver these days. Rather, we found a thicker Naples-style pizza from the Sorentine peninsula. Despite its appearance, the crust was airy and fairly light while crunchy throughout. The light tomato sauce was mild with some tang and spice. What really made this pizza was the big chunks of buffalo mozzarella that did its best impression of burrata (of course not as creamy). Our second pizza was the Rapini & Sausage. This was actually pretty spicy complimented by the meatiness of the sausage. We found the rapini to be a bit too cooked where it became a touch mushy. I guess that is always the challenge with veg on pizza as the dough has to cook through. 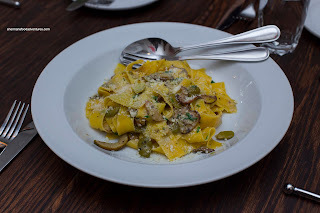 But overall, we thought the food was on point at Di Beppe and we wouldn't be opposed to returning.